I apologize for the slow start to the spring semester here; North Georgia got 8 inches of snow plus some ice on January 9-10, and not being possessed of any tools to deal with such, closed down until most of it was melted. UGA lost 3 days, and the public schools were closed for a week! I hope to pick up my routine starting now. As a former PhD student at the University of Cincinnati, and as a librarian, I can assure you that the Burnam Classics Library collection and its caretakers are exceptional. I have also stayed in one of the campus apartments used by the Tytus Fellows; they are pleasant and clean and very convenient to the library, if somewhat minimalist (it’s been a decade – maybe a lounge chair has been added!). If you need a place to hole up and write a book this summer, Cincinnati would a great spot for it – consider applying. Details follow. The University of Cincinnati Classics Department is pleased to announce the Margo Tytus Summer Residency Program. Summer Residents, in the fields of philology, history and archaeology will come to Cincinnati for a minimum of one month and a maximum of three during the summer. Applicants must have the Ph.D. in hand at the time of application. Apart from residence in Cincinnati during term, the only obligation of Summer Residents is to pursue their own research. They will receive free university housing. They will also receive office space and enjoy the use of the University of Cincinnati and Hebrew Union College Libraries. 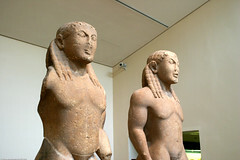 The University of Cincinnati Burnam Classics Library (http://www.libraries.uc.edu/libraries/classics/) is one of the world’s premier collections in the field of Classical Studies. Comprising 250,000 volumes and other research materials, the library covers all aspects of the Classics: the languages and literatures, history, civilization, art, and archaeology. Of special value for scholars is both the richness of the collection and its accessibility — almost any avenue of research in the classics can be pursued deeply and broadly under a single roof. The unusually comprehensive core collection, which is maintained by three professional classicist librarians, is augmented by several special collections such as 15,000 nineteenth century German Programmschriften, extensive holdings in Palaeography, Byzantine and Modern Greek Studies. At neighboring Hebrew Union College, the Klau Library (http://library.cn.huc.edu/), with holdings in excess of 450,000 volumes and other research materials, is rich in Judaica and Near Eastern Studies. 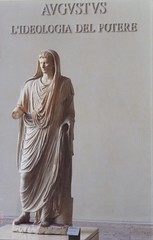 A description of the Tytus Summer Residency Program and an application form is available online at http://classics.uc.edu/index.php/tytus. Questions can be directed to program.coordinator@classics.uc.edu. Relief carving from the facade of the Blegen Building at the University of Cincinnati. The UGA Libraries are currently not funding travel to professional conferences, and even when there was funding, it was for only one meeting a year and never actually covered the full cost of attendance. While as a state institution, our budgets are tighter than some, I don’t know many colleagues who can travel to conferences without spending at least some of their own funds on the trips. Are in-person conferences, especially the big national ones, worth the expense? Last year there was a fair amount of talk about conference attendance being down, due to the economy. I know ALA is moving – though slowly – toward making virtual participation in committee work possible. The Kosmos Conference was held partially virtually this spring, due to an Icelandic volcano, and was a truly interactive virtual experience – but that is a small conference, where most of the people already knew each other or knew of each other’s work. I would love to be attending AIA/APA this year, not least as I have just gotten connected back in to my old academic networks and friendships, and people are going whom I would love to see. And I would like the opportunity to talk up the Ancient World Open Bibliographies project. But I wasn’t willing to pay for myself to go – I have too many other priorities (like, a new roof on my house). I am interested to see what the ALA experience is like this summer, and hope to see some of my former library colleagues whom I miss there. What’s your feeling? Are academic conferences valuable enough for you to pay out of your own pocket to attend them? Should libraries or departments fund travel to them, and if so, at what level? How can we better articulate the benefits of conference attendance in the face of very tight budgets (and in Georgia at least, skepticism from the media and the legislature)? As a final note, I would love to host some conference reports from AIA/APA here – I am putting out the word to my Facebook friends and I would happily host comments made by readers of about their experiences and any exciting connections made. You are currently browsing the Becoming a Classics Librarian blog archives for January, 2011.